A mobile app developer may consider earning income towards his/her aim while publishing a new app. 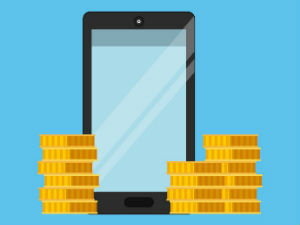 Read on about make money with mobile apps. Since there are a lot of ways to earn income from mobile apps, it is possible to earn income according to the preferred income model. How to earn money from mobile apps? One of the most common ways is showing ads in apps. Thanks to that way which is increasingly preferred, it is possible to earn regular income from the apps by showing ads. Moreover, presenting ads as a part of the app makes easier to increase income. So, which points should be taken into consideration to earn continuous income from the in-app ads? What kind of ads your users want to see? While designing the mobile apps, ads are started to be seen as a part of the user experience recently. Therefore, it is beneficial to conceive and evaluate the ad spaces before developing an app. In the view of the user, it is important for ad contents to fit with the app contents. Promotional works called as natural advertising are involved in the ad kinds that the users mostly interact with. Thus, in order to make your incomes perpetual, it may be helpful to try showing ads that mostly attract your users with both their kinds and subjects. Visibility: Which ad sets perform better? Which point is the best for ads? Answers to these questions may help you to find the ideal ad space. There may be a lot of spaces to show an ad in a mobile app. However, space at which the ad will be located may vary according to the format. At this point, it will be helpful to evaluate the formats which are mostly used. 1) Display ad: In this option which is used often except the gaming apps, standard-sized ads are showed on the top or bottom of the screen. This kind of ads are the ones that preferred often since they neither disturb the user nor limit using the app. 2) Video ad: These ads that we increasingly come across with recently are very good at attracting the user. Especially when they are designed as a part of the user experience, this format satisfies the user. It is getting used more commonly. 3) Full-screen ad: This kind of ads that generally maximize all the screen while any tab is loading are showed for a short time, so they may preclude disturbing the user. While earning income from your mobile app, in order not to lose your current users it will be helpful to shape your ad strategies correctly. However, if you still do not have your mobile app, create your MobiRoller account and have your own mobile app only in few minutes.